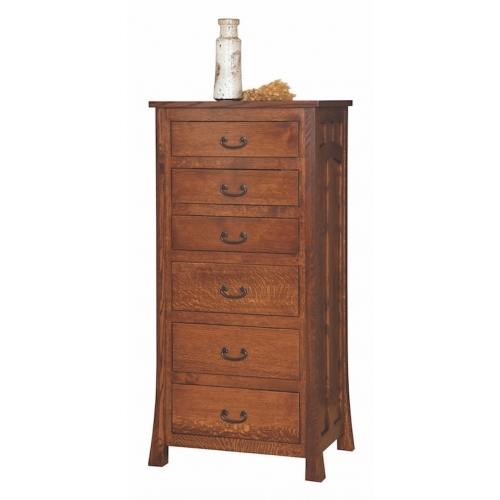 Our Cleary Amish© Bridgeport Lingerie Chest is Amish built with quality Quartersawn White Oak featuring curved arches connected to perfectly spaced side slats, 6 Solid Dovetail Drawers with Light Touch Heavy Duty full extension glides, dark Iron hardware and a hand rubbed durable varnish finish. Bench built, Heirloom Quailty to last for a lifetime. 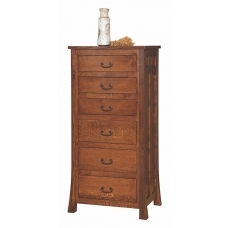 Amish Built in the USA for life long sturdiness and dependability. Perfect for a small space.